Regular xDevs.com readers already know about number of laboratory grade instruments that are repaired or tested in last few years. My KX LTZ1000-based reference got repeated by analog design enthusiasts and discussed in lengths on EEVBlog forum, to my great surprise. I never meant to see such an interest in very expensive and niche application device. This is even recognized in the name, KX stands for Keithley-meter eXperiment reference, as back when I started the design I wanted to attempt for Keithley 2001 DMM reference stability improvement. That’s why module provide only direct +7.xxxx V, does not have any additional protection or onboard pre-regulators and fits compact PCB, that may be hard to hand assemble. Fast forward to 2018, more than 100 (!) PCBs were produced by the community, with only about 10 my own modules. I’d like to thank all of the followers for their effort on sharing their measurements and results. Few highlights are collected in table 1 just to recognize some of the modules. Todd for patience and continous support with calibrations and verifications to traceable Fluke DC standards. Dr.Frank for valuable feedback and inspiration. Kleinstein for countless reviews and design suggestions. Keysight Technology for keeping 3458A’s alive all these years. Linear Technology for making top-level “Renez-Repus” reference available on the market and dedication to high levels of analog performance. So what is this project about? It’s another reference design, but this time more complete and ready for practical use in the lab, providing cardinal +10.0000 VDC point, based off LTZ1000A core. Upscaling stable but arbitrary +7.xxxxxx voltage to calibrated +10.00000 V output to ppm-level accuracy is a task on it’s own, even more difficult so. Too bootstrap the project and not to spend too much time on important, but secondary engineering items, existing commercial power pack will be used. And for that role Fluke 792A Power Pack will fit perfectly. This assembly based around four 6V SLA-type battery packs, providing internal unregulated bipolar voltage supply +/-12 VDC and regulated +/-11 VDC output externally. Battery pack has mains transformer and standard IEC power input circuitry, onboard charger to maintain battery capacity and LED indicators for status. Massive inner shielding also provided to protect internal circuitry from external RFI/EMI. So idea is to build custom LTZ1000A-reference, add 7V-10V circuit to it, and put everything into Flule 792A Power pack. Sounds simple enough, let’s get started. All information posted here is hosted just for education purposes and provided AS IS. In no event shall the author, xDevs.com site, or any other 3rd party, including Fluke or LTC be liable for any special, direct, indirect, or consequential damages or any damages whatsoever resulting from loss of use, data or profits, whether in an action of contract, negligence or other action, arising out of or in connection with the use or performance of information published here. Redistribution of article must retain the above copyright notice, this list of conditions, link to this page (https://xdevs.com/article/792x/) and the following disclaimer. Redistribution of files in binary form must reproduce the above copyright notice, this list of conditions, link to this page (https://xdevs.com/article/792x/), and the following disclaimer in the documentation and/or other materials provided with the distribution, for example Readme file. 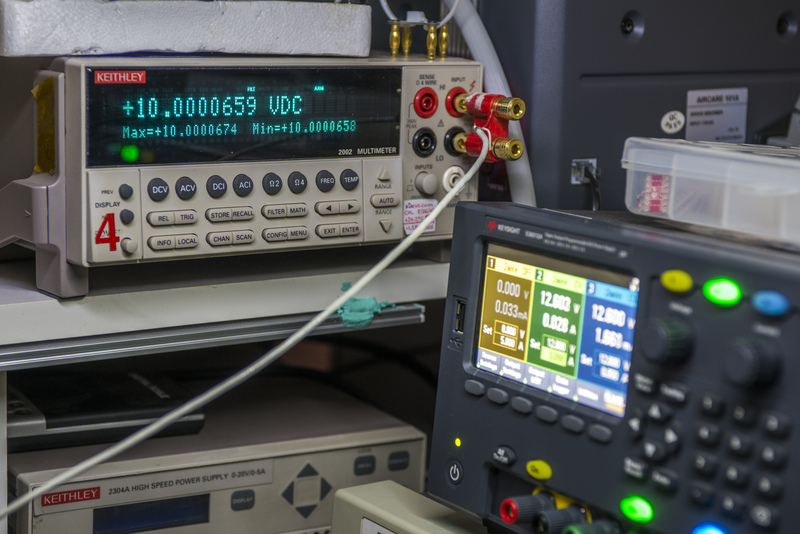 If you willing to contribute or add your experience regarding your voltage reference design or provide any extra information, such as test results, experiment setup photographs, you can do so following these simple instructions. We also welcome related discussion at our own IRC channel. Actually all started once I bought dead Fluke 792A power pack (without anything else). First thought was to simply fix it and use as floating power source for lab use, but then it would become just an expensive and bulky power supply, without much of other use. From Todd’s 792A article we already learned about internal design of the power pack, and availability of extra room inside the shield, just enough to fit compact voltage reference. As I don’t have “real deal”, Fluke 732A/B DC voltage standard, I’ve decided make this project in attempt to achieve similar end result, albeit at larger footprint. Also target goal is to preserve original functionality of 792A Power Pack so it can be used to power the 792A AC/DC Transfer Standard as well, in case such need arise. So this is how Fluke eXperimental battery-backed DC voltage refence project started. Together with prototype Fluke SL935 ovenized 1 Ω/10 KΩ resistance standard these two boxes would be handy tool to maintain calibration checks and transfers for Keysight 3458A and Fluke 5700A multifunction calibrator. But first we need to inspect 792A power pack and repair it, so it can be functional again per it’s original purpose. Zener reference itself is standard LTZ1000A circuit, well known and tested by many people. There is no reason to change anything in it, really, as it works great and performance limited to the quality of the LTZ1000 chip itself and long-term stability of the used resistors. Oven temperature is selected at +60 °C point, by using 12.5 KΩ and 1KΩ resistor network R3+R2. Opamp is traditional Linear LT1013 in DIP-8 package. SMD parts are less preferred for high precision application due to possibility of board stress coupling from the PCB. Direct 7V output from the reference available on the test header J2, following kelvin-connection technique. FB1,FB3 junctions are stuffed for easier routing, to connect power and signal grounds in single point at the board output. Whole LTZ1000 reference section is powered by low-noise Linear LT3042 regulator U5 in tiny DFN package. SMD Resistor R15 is setting output voltage for the regulator at +11.0 VDC. This is in range of LDO operation when battery is fully charged. There is also PCB temperature sensor U4 for tweaking and initial debug, using MAXIM MAX6610 temperature sensor in tiny SOT23-5 package. Now, more critical circuit section is actual 7V to 10V converter. Output is driven by precision chopper amplifier Analog Devices ADA4522-2, two sections of which are driving both positive and negative output. Essentially performance and stability of this conversion will be based on the stability of used resistors R1,R2,R3 on LTSpice schematics. Absolute value of those resistors is not very important, but the ratio between R1 and R2,R3 is crucial. It’s best to select these resistors for equal temperature stability and behaviour, so the total ratio remain as constant as possible even with change of the circuit temperature. As option, this module also designed around rare Fluke-custom hermetic film resistor network P/N 2464707, taken from Fluke 8846A 6½-digit multimeter. 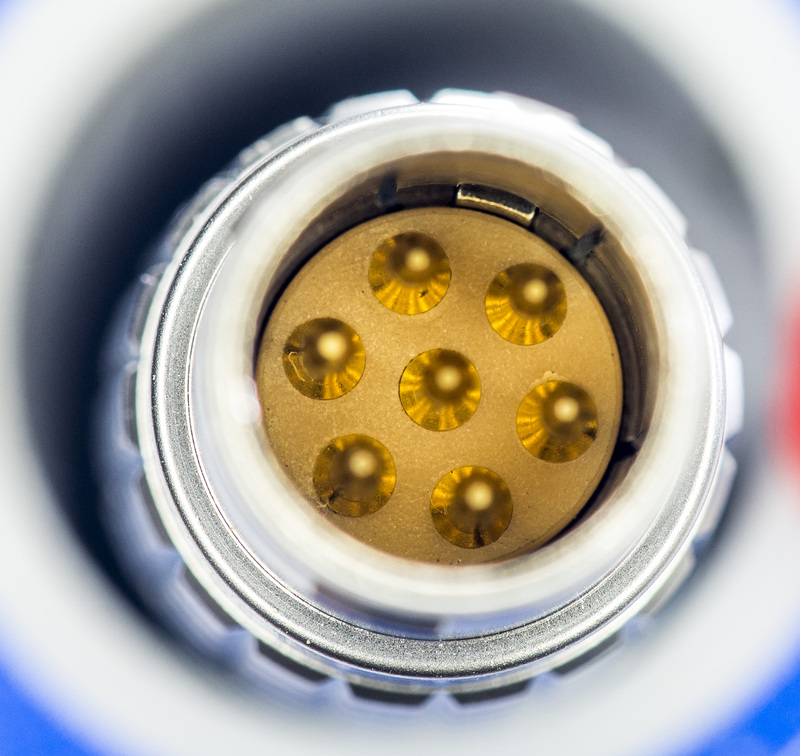 In theory temperature coefficient of each element inherently matched on the network, since it’s manufactured from same material and process and share same ceramic substrate. That should help with equal temperature gradient over both resistor arms. RC network R7C1 and R11C3 also prevent from coupling current noise spikes from chopper amplifier switching back to the LTZ1000A reference output. Output of both amplifiers driving pair of bipolar transistors to get some current drive capability, as well as protect opamp from dealing with capacitive loads, such as long cables or shielded wiring. This is perfect example of the circuit that is very hard to accurately simulate, no matter how great simulation software is, so the only way to check it’s performance is to actually breadboard it. I already have my xDevs.com KX LTZ1000 reference ready, so that’s what we will use to get some real-world numbers, before going into full design mode. After few hours, here’s is the result. I did not have dual version of ADA4522-2, so used ADA4522-4 in SOIC16 package instead. Vishay VHD200 resistor network with values 20.000 KΩ and 7.6630 KΩ together with S102K 330 Ω were used to set the output voltage point. I didn’t spend much effort to trim ideal +10.00000 V as for prototype we don’t care about the output value accuracy. Output is driven by complementary transistor pair in a single DIP8 package, with marking STD830CP40. Power at the opamp and output transistors is decoupled by few 1 µF MLCCs, few WIMA film capacitors and pair of Sanyo OSCON 150 µF 16V caps (purple cylinders near the opamp). This prototype is just to verify the correct operation and perform noise and short-term stability test. Calibrated and verified Keysight 3458A 8½-digit DMM was used as a digitizer, together with linux-gpib Raspberry Pi. Input was connected to the LTZ module output, output of the circuit was connected to the DMM binding posts using pair of CNMC triaxial cables. Whole thing, including the LTZ reference powered from +12 and -12V battery inside Fluke 792A battery pack. So this is pretty close to final design to estimate some stability figures. Layout of the PCB was done during streaming on YouTube platform, in three parts. In part 1 which lasted nearly 6 hours all the main routing was done, few placement adjustment were made and overall board design flow established. Replaced input filter RCR to balanced network using MELF metal film resistors. Routed GND_Signal return as point-point signal, no multipoint-connected shapes. Here’s board layout animation after 2nd video, all 4 layers with 5 second interval. Full resolution GIF available on click. And 3rd part with final touches, adding I2C EEPROM for ID and calibration data storage. Added R33 for equal amount of resistors in negative feedback. Added I2C U7 EEPROM, for storing module-specific DC output voltage, calibration values, tempco/drift values, configuration parameters, etc. Changed connector type to 20pin 0.5mm pitch XP2 for onboard temp sensor and I2C ROM. Power for sensor and ROM are 100% isolated from rest of the reference. Added extra C46 cap near heater NPN. Assembly of the first boards, as received from the PCB house. First, comparison to well known HP 3458A A9 DC Reference module and my old KX public version LTZ1000 module. I’m missing opamp, resistor network and MELF resistors for the 7V->10V output amplifier section, so that will be assembled after parts arrive. Currently I can test tempco and establish intermediate 7V output, and get a glimpse on initial stability, to make sure no funny business happenin. Little section with DFN chip is low-noise Linear LT3042 +11V linear regulator, that powers LT1013A and LTZ1000A chip. Output amp powered directly from input power entry (power source for this module is +12/-12V VRLA battery array). There are just TVS at the input and few bulk tantalum capacitors. 20-pin connector provide isolated +3.3V to calibration data EEPROM (I2C 24128, U7) and +5V supply to MAX6610 (U4 in center). Configurations for first tests (7V section first). FX 001 : LTZ1000ACH, 51 week 2016, 1K AE YB BMF, 20K S102J + 34.8K S102K, 330R + 300R + 522.2R S102, 2 x PTF56 75K (tested <-6ppm/K). First FX001 module running tempco test 1. This test gracefully ramp temperature up to +55 or +50 °C, while keeping ambient room temperature and DMM temperature stable within ±1 °C to establish temperature coefficient on the 7V output. Both 3458A connected to same output for better confidence. 3458B have math corrected offset +3.3 µV. Note to change schematics C9 value from 10nF to 100nF. This module with -0.1 ppm/°C definitely out of desired -0.05 ppm/°C limits for DC Voltage temperature coefficient. Some tweaking will be required. This time Keithley 2002 (GPIB 4) was added to voltmeter group. This module with -0.25 ppm/°C is even worse. Some more tweaking will be required. For Test 2 additional compensation resistor was added, 390KΩ 5% 1206 on R13 position. Much better now! Retest with 331KΩ resistor. Now after verification of initial performance of the basic LTZ1000A-reference, we are ready to add 7V -> 10.0000 V section assembly and testing. Shortly after the video was streamed issue with incorrect voltage was resolved by fixing the mistake with resistor population and first FX3 module delivered stable +9.999960 VDC with 351 Ω trimmer resistor, set by L&N 4754 decade. 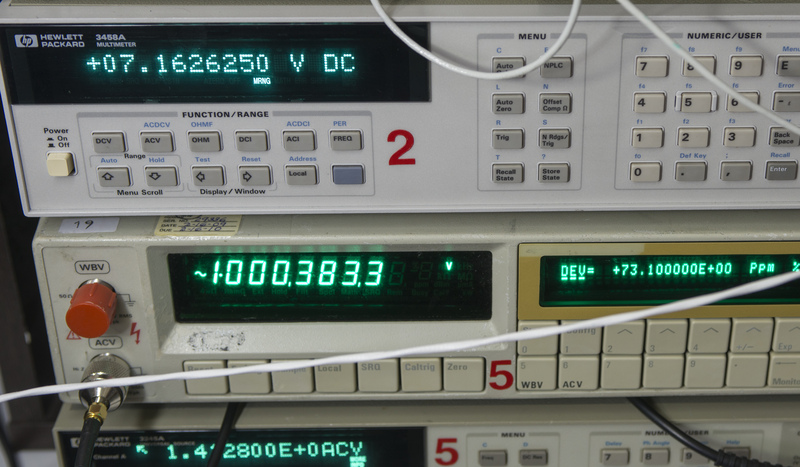 Initial testing was performed using Keithley 2182 nanovoltmeter, which is not quite optimal. This is because own noise and stability on 10VDC range of this meter is worse than the actual FX reference performance, so we actually more likely see noise and performance of meter’s own LM399 reference, rather than any figure of the tested LTZ1000A-module. Initial testing for tempco started, using 10V output stage. 3D-printed plastic cap to shield LTZ1000ACH chip is required to obtain low noise performance out of the reference module. Time stability performance of prototype 4 by Allan Deviation math with AlaVar 5.2 software tool. Bit of progress of target device, why FX reference actually created… Conversion of 792A Power Pack into 10VDC battery-powered reference. Main aluminum frame of 792A transfer box and power pack is actually exactly the same, only front face plate is different and guard inner shield does not have holes for shaft and terminals. I need 4 posts, because FX output is 4-wire, force and sense wires are separate, so I can use it to drive resistive loads (to act as current source). Looks somewhat decent, eh? I’ll have to drill now holes in guard plate, and likely to lift PCB a bit further from shield, to avoid interference of binding posts and PCB. Need to find out way to make white text marking on black background to add labels. LEMO power supply output port still works as original design, providing regulated isolated +11/-11, in case I need connection to real 792A transfer unit. Before assembly resistors were tested for temperature stability and matching groups were selected. Resistor test data is covered in dedicated article. Fluke 792A Power pack front chassis and inner frame had to be modified to implement Low Thermal 5-way binding posts. Outer case made unified with 792A transfer unit, already having cutouts for posts. All we need to do is to add missing holes on the decorative aluminum front panel here. Like a bought one? Almost. Cable lugs are tight in space, and posts ends had to be trimmed a bit to make it fit with the inner shield frame. 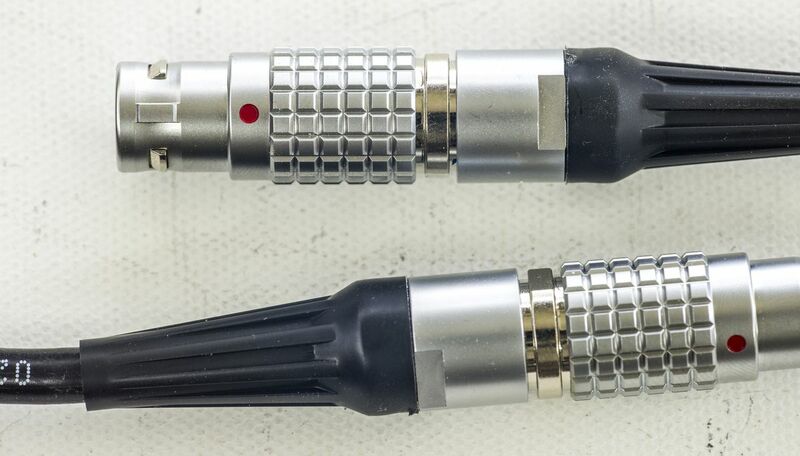 We opted for different colors for sense and force terminals, both positive and negative sides, providing true 4-wire output for improved versatility. Reference could be used as precision voltage source or as current source in the result. Cable assembly for 792A use. Wire is PVC 0.2mm.sq noname, marked as 60227 IEC type. Conductor: Plain annealed flexible stranded copper conforming to BS EN 60228, Class 5. Insulation: PVC compound conforming to BS 7655-3.1 Type TI 3/ IEC 60227-1 Type PVC/E. 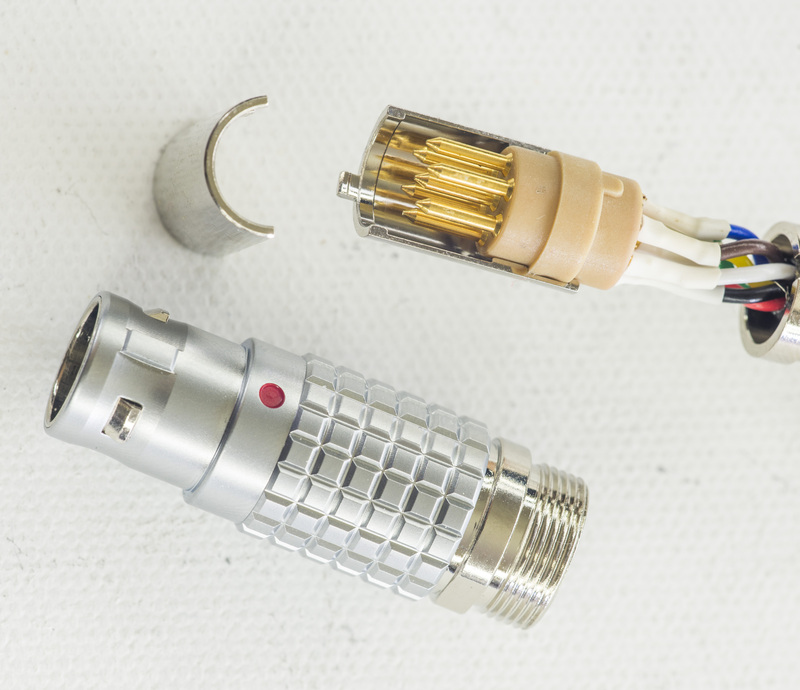 Maximum conductor temperature in normal use 90°C. LEMO FGG.2B 307 or a knockoff. 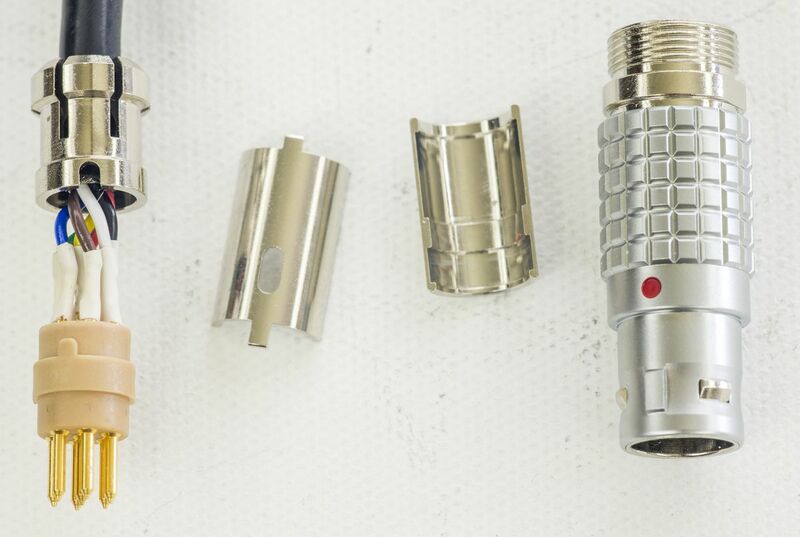 I don’t see any markings on LEMO connector itself, but it does not look cheap or flimsy, so chances are these are legit. Overall not bad for $42.7 and free express shipping. How they also have pairs of connectors, if I’m reading this lot description correctly. 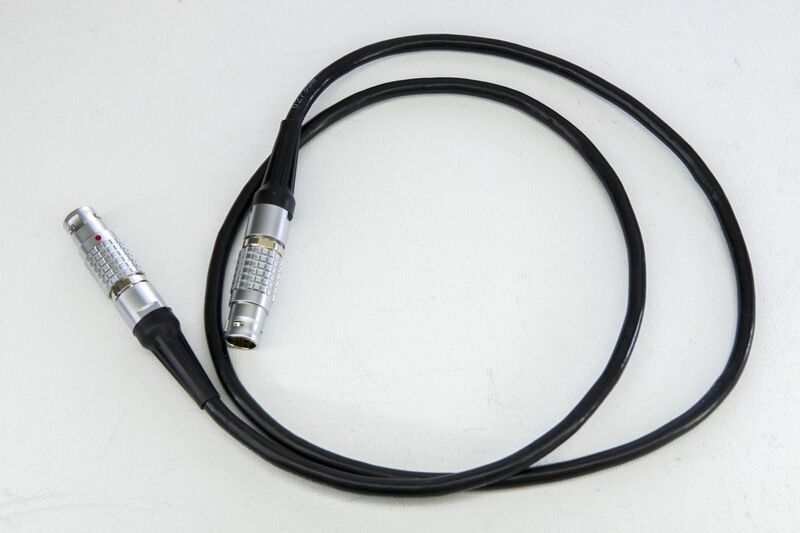 That’s is for connector+plug 2B series 306 is 33$ USD. EEPROM IC is used onboard to store calibration data, history logs of the module and it’s configuration. EEPROM is accessible by I2C interface by address 50h and 58h for used M24128-DFMC6TG device. Unit with reference is powered continuosuly since end of January 2018. Let’s make a final count for funds spent. As result resistor set for LTZ not using network is $143 USD and one using network is $124 USD. This numbers do include quantity discount bracket price. If one to order just one set, cost for it would be in excess of $170 USD. I’ve ordered more resistors than required for 10 units, to have ability in sorting for best tempco. So PCBA build which would take normally just few hours for normal projects took nearly a week of time (2-4 hours each day) and required expensive (MSRP >10k $USD) and verified instrumentation to ensure required performance level. 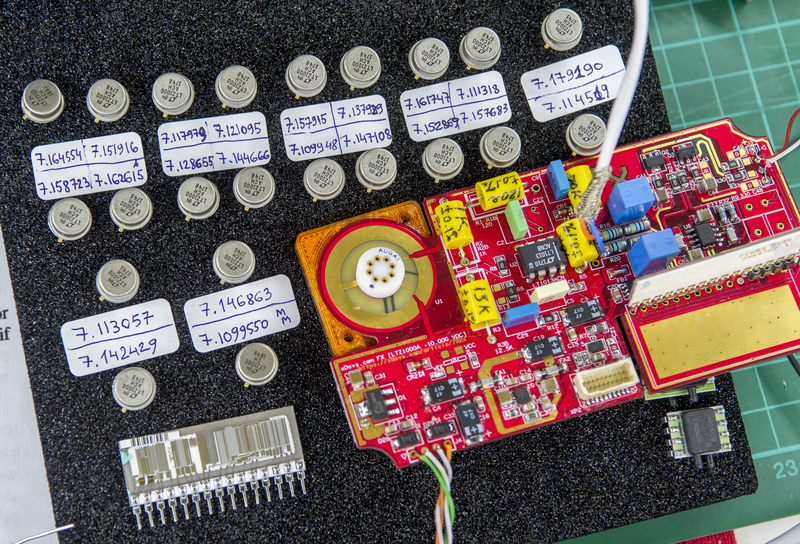 Hope these efforts would help to better understand hidden icebergs and dangers big enough to sink a project in high-precision field, even for something as simple as direct voltage reference module. Published: July 28, 2017, 3:56 a.m. Modified: March 21, 2019, 4:53 a.m.